Gold has been used as an universal currency for thousands of years and during all this time the value of gold has remained relatively stable and that is precisely why it is a good choice for a reliable and secure long term investment. The same can be said about some other precious metals that such as Silver or Platinum as unlike fiat currency precious metals cannot be printed whenever you need more – there is a limited supply. Bitcoin, just like gold and other precious metals, has a limited supply and does sound like a good long term investment if you believe in the future of crypto currencies. But unlike gold, BTC and other crypto currencies are a more risky investment, though they can be more rewarding as their value is going up (it can go down as well). So a smart thing to do is to diversify your investment portfolio and not focus on only a single thing, so more and different crypto coins as well as turning some of the coins into an investment in gold or other precious metals would be a smart idea. The good thing is that there are already quite a few precious metals dealers that accept not only Bitcoin, but other crypto currencies as well, so it is relatively easy to turn your virtual crypto coins into physical Gold coins for example. When talking about precious metals dealers that do accept Bitcoins as a payment method one name is often cited in the world of crypto currencies and that is Amagi Metals. It may not be the first company to accept BTC for precious metal purchases, but it is one of the most trusted names in the community when talking about spending Bitcoins to buy precious metals. Now, purchasing precious metals such as Gold can be done using various payment methods such as with a Bank Wire, Personal Check, Money Order and Cashier’s Check, PayPal or by Credit Card, but using BTC has some advantages. usually if you purchase Gold using Bitcoin you can have a higher purchasing amount, there are no extra processing fees (you might even get a discount off the regular price) and the payment clearing time is shorter, so that you can get your precious metal coins or bars shipped to you faster. 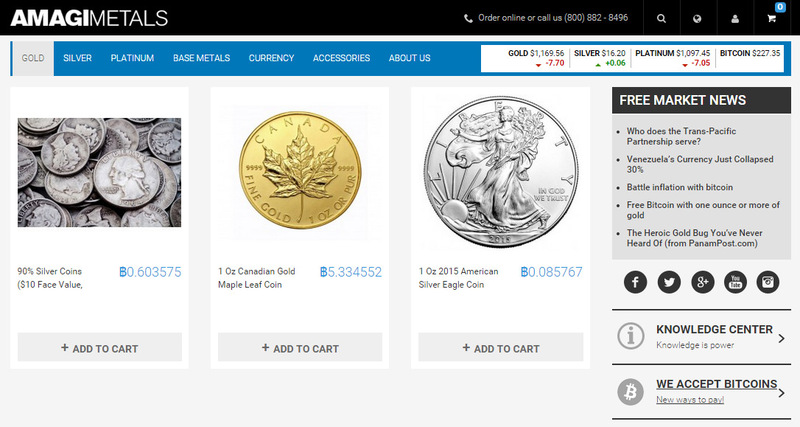 So if you are interested in purchasing some Gold or other precious metals using BTC as a payment method you check out Amagi Metals as a good starting point, the company is based in Denver, Colorado, USA, however they are shipping worldwide. 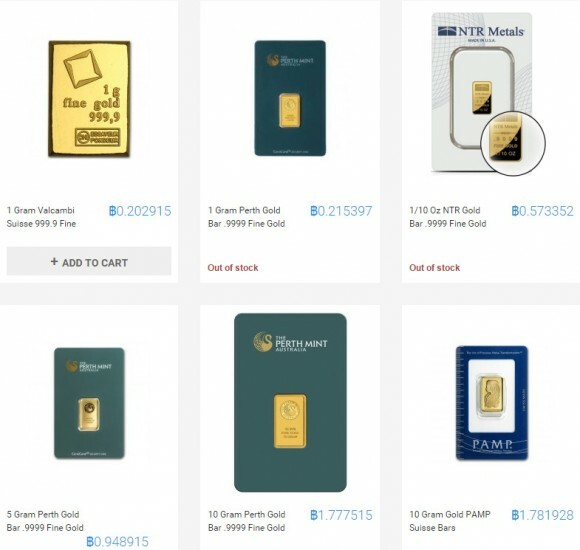 Now if you are not based in USA you might want to order from a precious metals dealer that accepts Bitcoin payments and is closer to you to avoid possible problems with customs, so for example if you are based in Europe and a part of the European Union you might go for Bit Gild who are based in Netherlands. There are of course some other precious metal dealers that accept crypto currencies such as Bitcoin that you might want to check out, so you can also look at the offers from Provident Metals or a company previously known as Euro Pacific Precious Metals and now ShiffGold, both USA-based or Bitcoin Commodities shipping form EU and USA or Bullion Star based in Asia and quite a few more. There is another interesting new alternative to just purchasing Gold and getting it physically sent to you, the service BitGold offers you to purchase Gold with fiat and BTC and you can not only store it in your account or redeem it in physical form should you decide you want it, but also use it as a means for digital payments.